This week there are so many #stagey delights to be enjoyed it’s it going to be difficult to get around and see everything. I’ve chosen the three that I’m most excited about to take a closer look at here. First up is in Guildford. 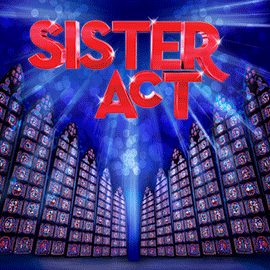 Guildford School of Acting are celebrating their 80th year and what better way to kick off this momentous year but to have their 3rd year Musical Theatre students to give us the uproariously rousing show of Sister Act! 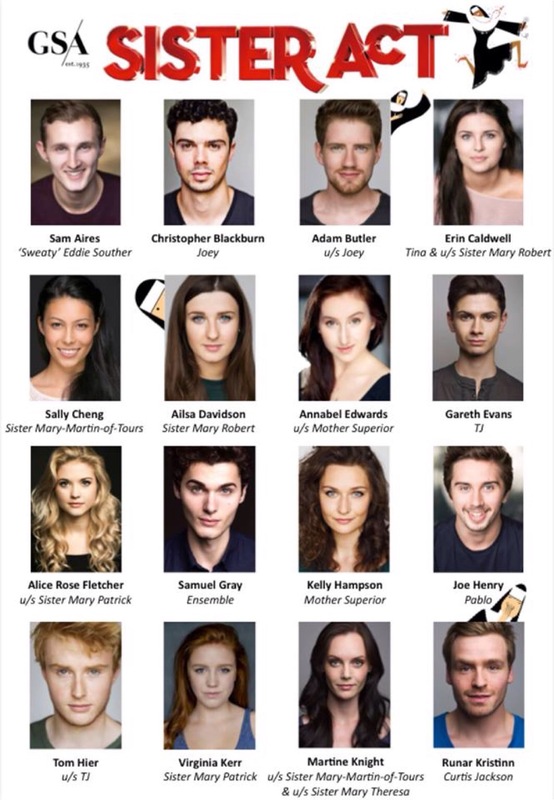 Deputy Director of Studies and Head of Musical Theatre Michael Moor is rightly proud of this extremely talented cast. This is your opportunity to see potential stars of the future before they hit the “big time”! My second is the West End opening of Beautiful the Carol King Musical opening at the Aldwych Theatre. This show has already been successful on Broadway and tells the inspiring true story of Carol King’s remarkable rise to stardom, from being part of a hit songwriting team with her husband Gerry Goffin, to her relationship with fellow writers and best friends Cynthia Weil and Barry Mann, to becoming one of the most successful solo acts in popular music history. Along the way, she wrote the soundtrack to a generation, with countless classics such as You Make Me Feel Like a Natural Woman, Take Good Care of my Baby, You’ve Got a Friend, So Far Away, It Might As Well Rain Until September, Up on the Roof, and Locomotion. Previews start from the 10th and I for one can’t wait until my first visit later this month. My final choice is an obvious one for my regular readers City Stories and one which I will simply add a link to a previous post! 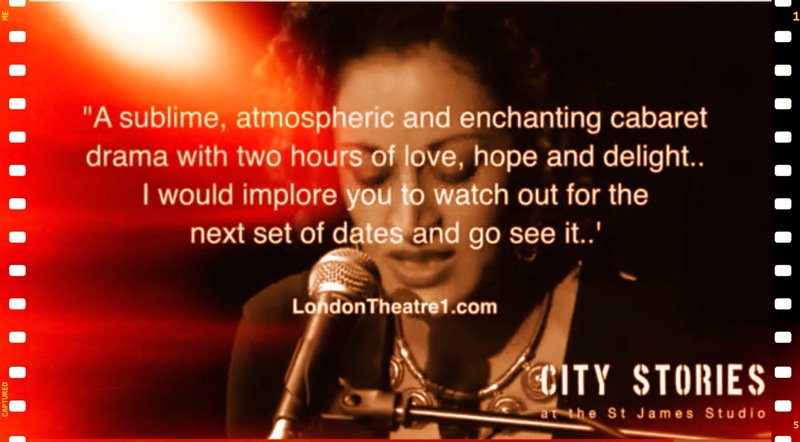 City Stories 10-12th February at The St James Theatre Studio Book Your Seats Now! 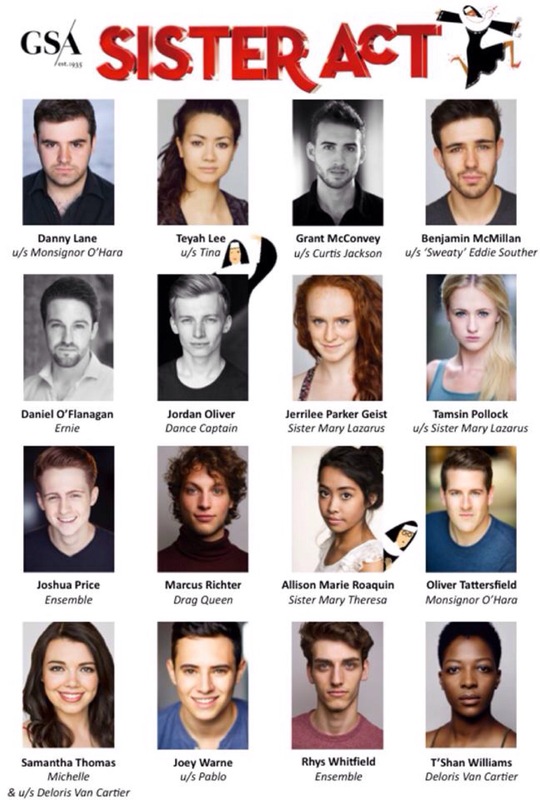 This link includes booking links, and further information. I stand by my quote used in the trailer and captured in picture form below.